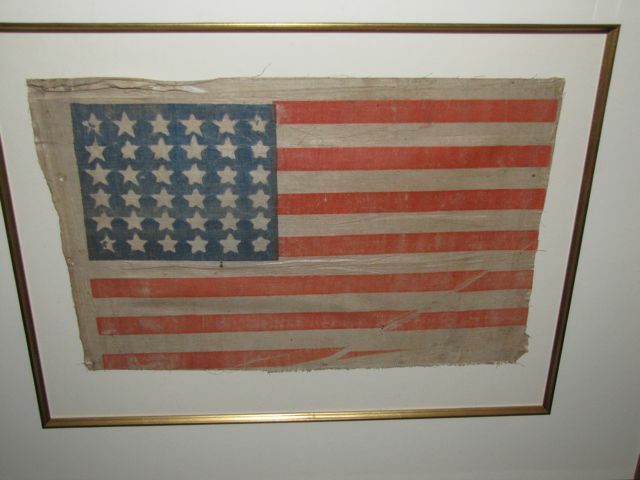 Great looking authentic antique 36 Star Civil War era Flag. 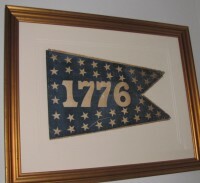 Made by stenciling on to a starched linen fabric. 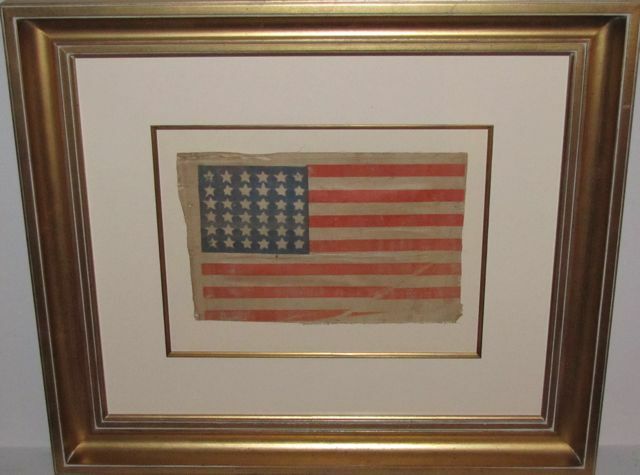 Great character in a beautiful gold frame. 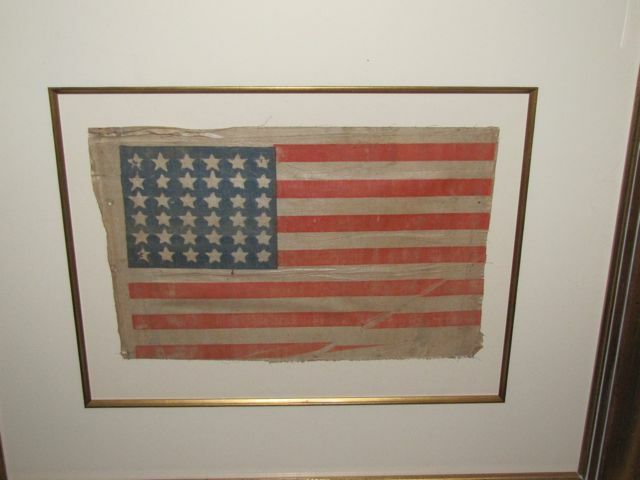 Abraham Lincoln & Andrew Johnson were Presidents when this flag came out. 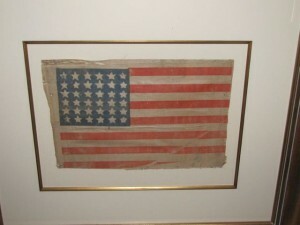 Click on “RARE FLAG OFFERINGS” to see more flags. Rarity Rating: [ 7 ] Rated on a scale of 1 to 10 10 being the most rare. 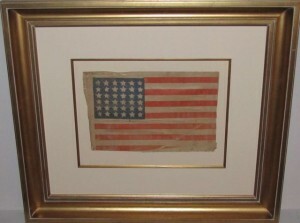 This item rates a [ 7 ] For example, [ 1 ] Rated items are our lowest price flags. 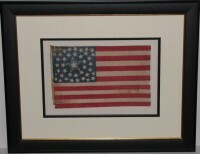 [ 10 ] Rated items are rare and the highest price we offer. Please email for price and shipping cost. Sizes are listed below the item number. Please refer to item number. 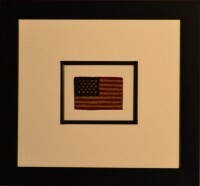 Each flag comes with a Certificate of Authenticity. 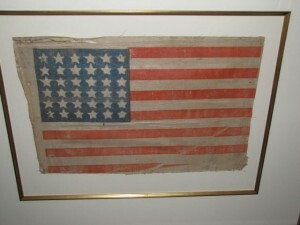 We only sell authentic genuine antique American Flags. 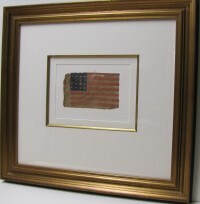 All framed flags have high quality professional museum Framing, wood frames, all acid free, w/UV acrylic protection. Please refer to item number when requesting Pricing. Thank you for your interest. Shipping to 48 States only.